MISH LOVIN' LIFE: I have been waiting so long for this day. The day that my dreams came true. The day that I had heard so many talk of, but had yet to see for myself. The day - - okay, okay, I'll stop and just get to it already! This morning, our good friend "Moo" picked us up in his Tuk Tuk. And when I say "good friend," I really mean we just met him that morning and he happened to be the first one to jump on the chance to drive us somewhere. But that didn't matter to The Dizzle, he loves making new friends. 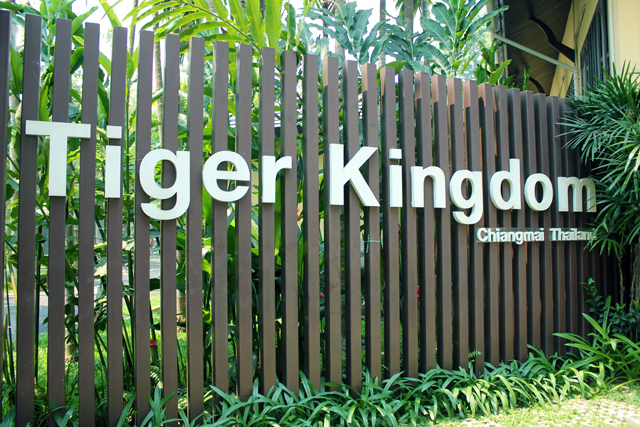 and off we went to Tiger Kingdom! I can't even tell you how much I was looking forward to this day. 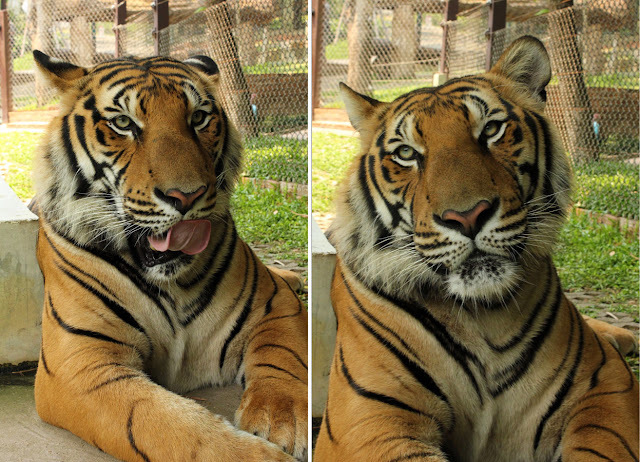 Hanging out with tigers?! Yes please! 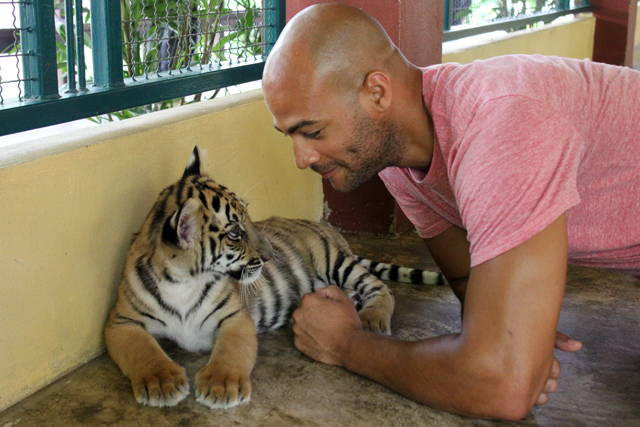 We started off with the baby tigers that were about 3-4 months old. It was their nap time, so they were all pretty sleepy. But that didn't matter to me! I was basically bursting at the seams with excitement. 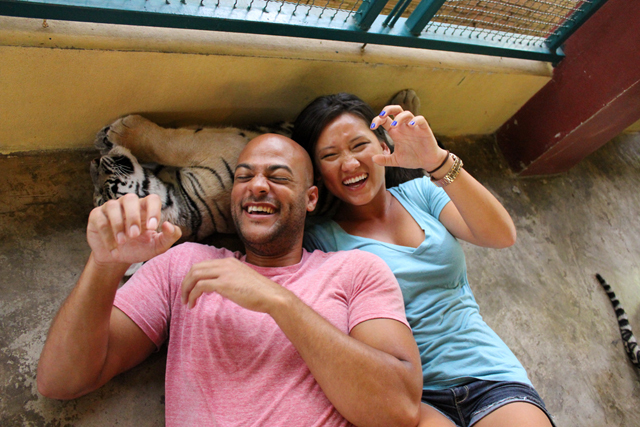 The guy working there kept telling us to put our heads on the tiger's stomach. I found that slightly odd, but hey, when else would I ever be able to say I've put my head on a tiger? 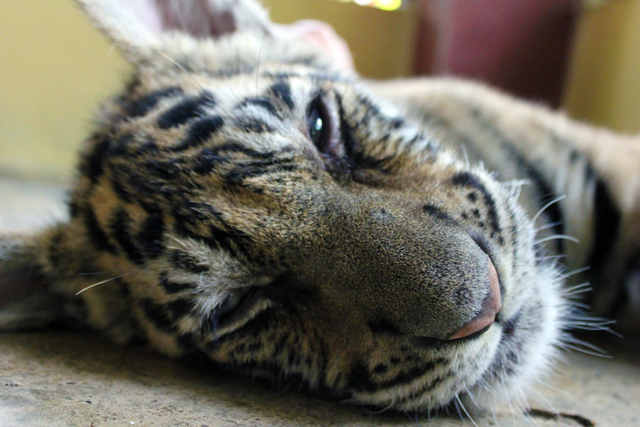 All while this poor little baby tiger is trying to sleep underneath our giant heads. After the baby tigers, it was time to head over to the big mama and papa cats. The TigerDizzle decided to opt out on that interaction because he's a big baby cautious. I, on the other hand, like to live balls to the wall! This ginormous beast is only 22 months. Not even 2 years old yet! Seriously. He was staring directly at him. The next thing that happened, happened very quickly. The tiger bounded across the yard, heading straight for The Dizzle! staring deep into his eyes! I so wish I had the opportunity to film this or even take a picture of it because it was absolutely priceless. So instead, here is a photoshopped picture to help you visualize what it looked like. I know, I know, this looks extremely real, but know that it is not. I am just that talented with Photoshop. The tiger stared right at him for about 3 seconds before he sauntered off. but it definitely seemed intentional that the tiger wanted The Dizzle to know who. was. boss! Oh, if you could have heard his scream...The Dizzle's, not the tiger's. It was pretty amazing being so close to these ginormous animals. 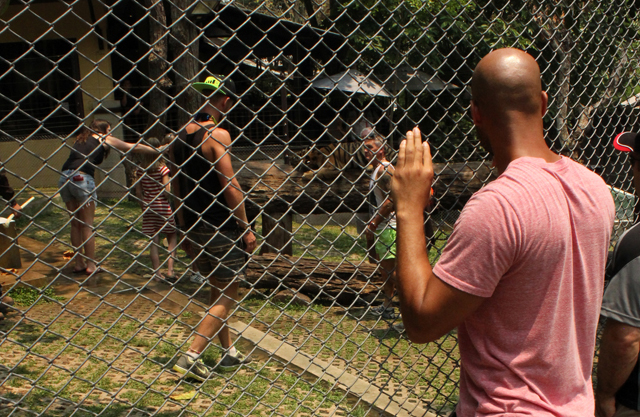 Normally, I'm not a huge fan of wild animals being kept in small enclosures (read: our Sea World experience), but to be honest with you, I was pleasantly pleased to see how well they were treated. The tigers seemed happy and free to roam about and the workers seemed genuinely interested in keeping them safe and healthy. So there you have it, my friends. My dream day with tigers has officially been fulfilled. I want to go there! Those little baby tigers look so precious! oh wow.. i wish i could hear the scream!! the baby tigers are adorable! 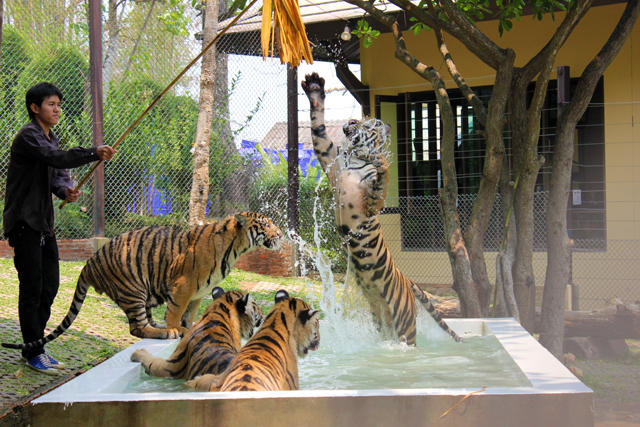 I love the big cats and their bath time! 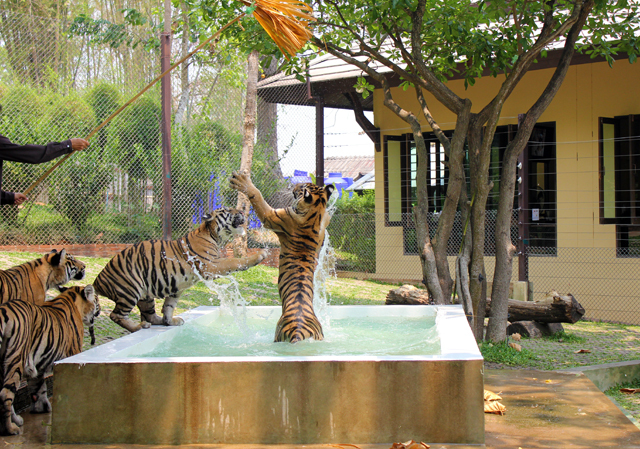 Both you and Lost in Travels got to have fun at Tiger World. A little jealous. Baby Tigers, Baby Tigers, Baby Tigers!! I waaaaant one! This is too much fun for one post. Poor Dizzle- just too intimidating for his own good. My brother and sis in law just went there on their honeymoon! When my sis in law was petting Roy, he suddenly whipped his head around and started staring her down. They had to distract him and rushed everyone out. Yikes! Such a cool experience though! this. is. AWESOME! The tigers all look so happy and those sleepy little babys? I think I died! this is so awesome! i'd love to do something like this, especially cuddling with the babies. 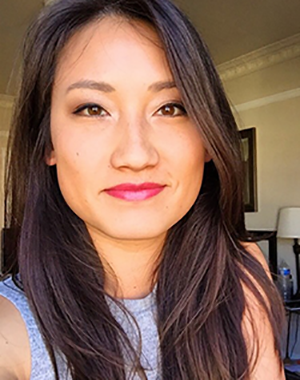 your pictures are fabulous! That looks like THE BEST DAY EVER!!!!! I am sooooooo jealous! Such an amazing experience you had. Love the pictures. Gahh....tigers. I can't decided what I like better, tigers or elephants! You did a great job capturing pictures of your 'dream day.' Love this post! Balls to the Wall! Haha, love that. This looks like such an incredible experience!!! That is seriously SO COOL! I love the photoshopped picture. I would have loved to hear the scream from V-Dizzle. Hahaha!! This is AWESOME!! You are brave! And oh my gosh good thing Dizzle didn't go in! That could have been bad news! I feel so sorry for big animals in small spaces like at zoo's. Seems so wrong. Off to check out that post! What an amazing experience! I want to put my head on a tiger's belly. And why don't you use lol? Gosh I use it all the time, can we still be friends? Ahhh amazing!! They look soooo cute! i love the picture of bath time! 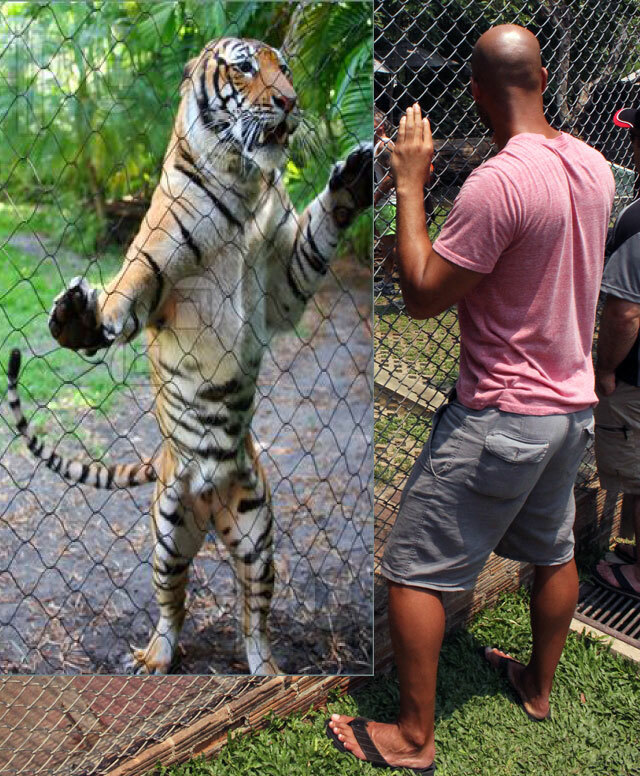 and i would have probably peed my pants if the tiger would have lunged at me even though the gate was there. Do you know if they de-clawed the tigers? Nope, their claws were fully intact!!! So amazing! Definitely something you would never forget! 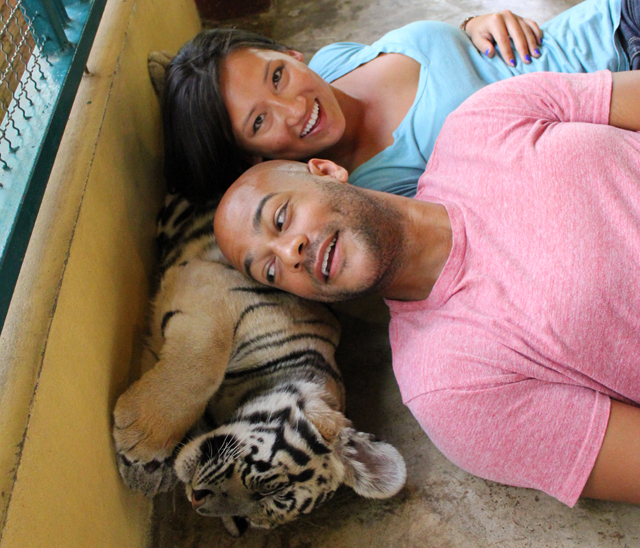 The pictures of you two with the tigers need framed. Stat. I am in love! 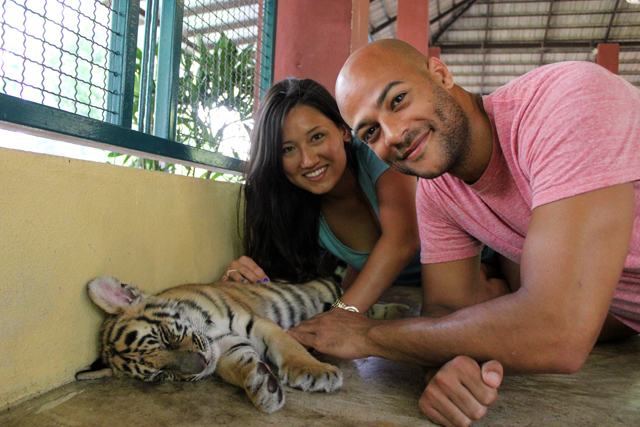 The 1st photo of you with V-Dizzle with the baby tiger - frame worthy! Love it. 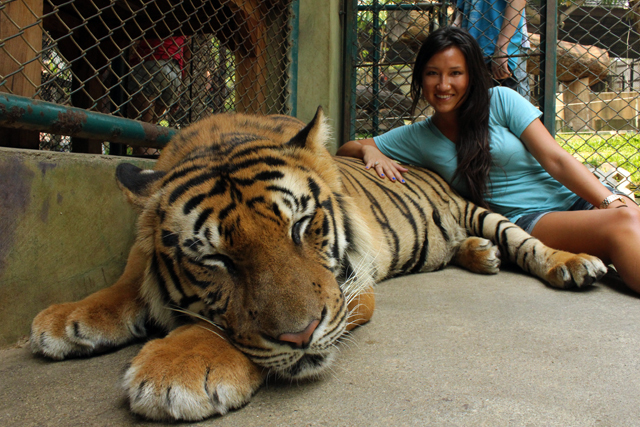 And I'm so glad you were brave and met the big tigers. The photos are great! 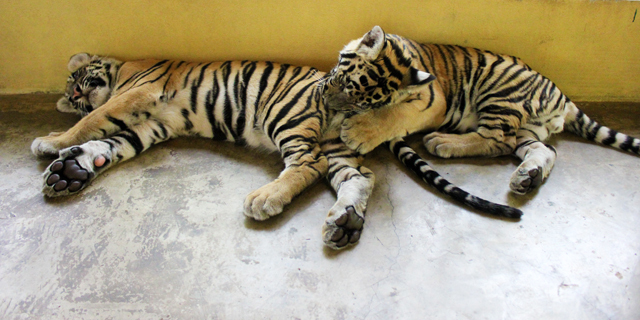 Wow, the tiger cubs were so cute! And I think I woulda stayed outside for the meeting of the big cats too, like Dizzle. You are so brave. Glad your dream was fulfilled and the cats seemed well cared for. We wouldn't want any animal rights people coming here and hatin on ya! Jeeaalllooouuussssss!!!!!! So cute! 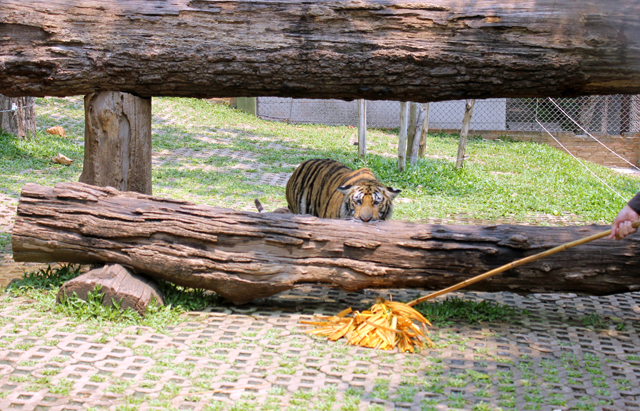 Our university mascot is a tiger and he has this massive, sooped up cage but the babies are so much cuter! Love the last baby tiger pic! So expressive! Did I mention that I'm jealous?!?! OMGOODNESS!!!!! 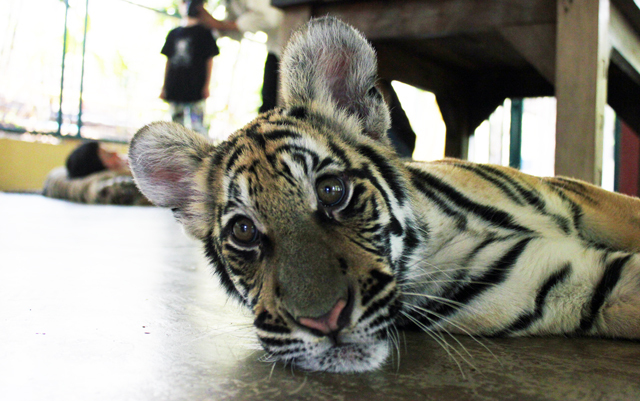 I want a baby tiger!!! And tiger hot tub = freaking AWESOME!!! The real question is who WOULDN'T be jealous of TigerDizzle's pink shirt?